Augmented reality or AR can significantly impact our perception and cause quite a few distractions that can easily result in accidents. 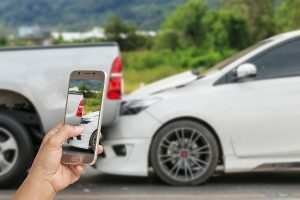 While we already know how distracting our cell phones can be, and we know what can happen when we text and drive, it is also important to understand the unseen dangers that augmented reality poses. When you use augmented reality in the real world, you can find that the way you perceive the world and your surroundings is quite different. You may also find that you interact with your environment much differently than if you weren't using augmented reality at all. For example, AR can cause you to seriously misjudge the speed of an oncoming car, your reaction time will suffer, and you may also begin ignoring other road hazards or navigation hazards in the real world. 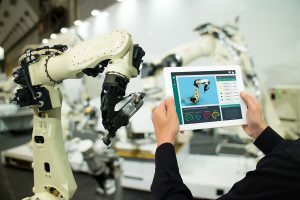 Augmented reality overlays real-time, computer-generated visuals and combines it with audio and haptic signals that enter a person's field of vision. It can affect a person's hearing, vision, and even sense of touch. 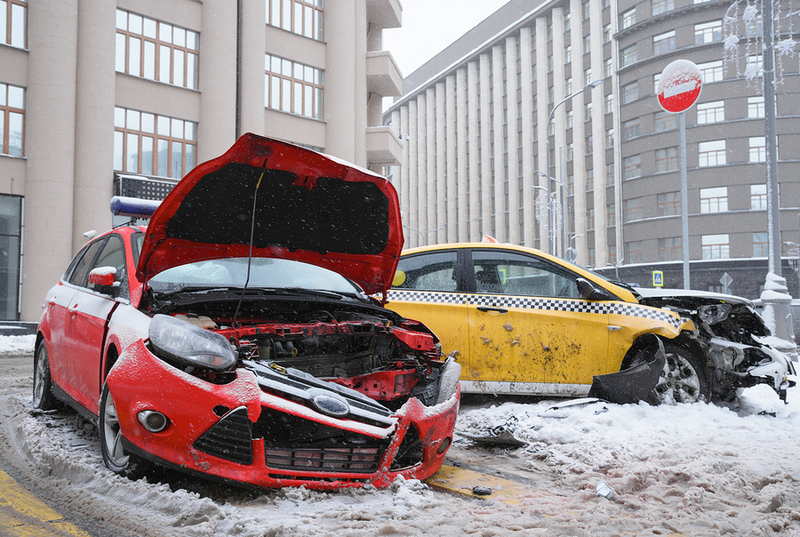 When there are bad road conditions, then accidents are more prone to happen. 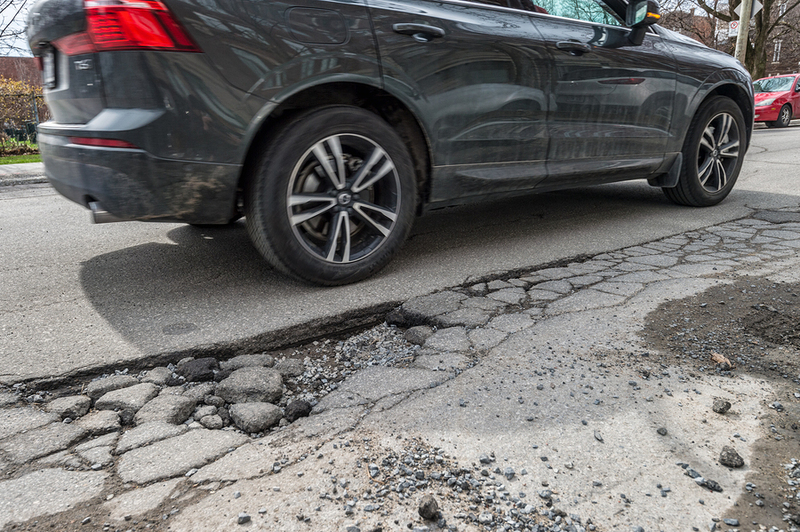 Bad and poorly maintained roads have caused almost half of all car accidents that happen each year in the United States. The poor road conditions can further be exasperated by a dangerous combination of seasonal traffic and other traffic conditions that exist. Changes in weather can cause hazardous road conditions. 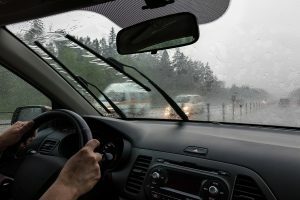 For example, Florida rain can cause slippery and dangerous roadways along with poor visibility. Construction zones are another cause of bad road conditions, and often they can cause the road to become uneven, and this is another cause of many road accidents as well. 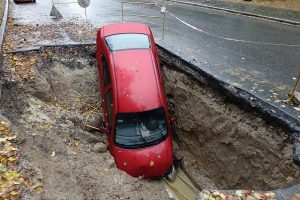 Most of these accidents caused by bad road conditions occur because the driver attempts to take the steps to avoid the accident in the first place. Maybe they saw a pothole and tried to avoid it. 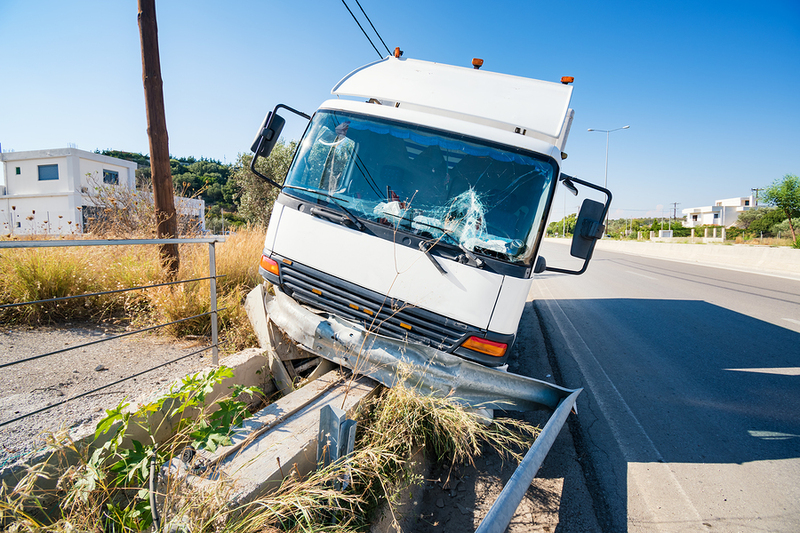 Some other hazards that can cause accidents include issues with zoning, signage that is perplexing and hard to understand, not enough signage, and sudden driver maneuvers. Roadway safety is a big topic commonly discussed, and with more and more highway work being done at night, it is important to emphasize safe driving through these nighttime construction zones. When nighttime construction is done, it is effectively keeping the traffic flowing more smoothly during the day. Along with this very clear advantage, there are also benefits for the workers themselves including cooler temperatures, fewer cars on the road, well-lit work areas, and easier scheduling. However, with the decreased amount of traffic, it was also found that vehicles tend to speed at night and more drivers are likely to be impaired at night when compared to daytime hours. These all pose a high risk to construction workers at night. For these reasons, it is important to improve safety for the workers to eliminate the risk of accidents and keep everyone safe. 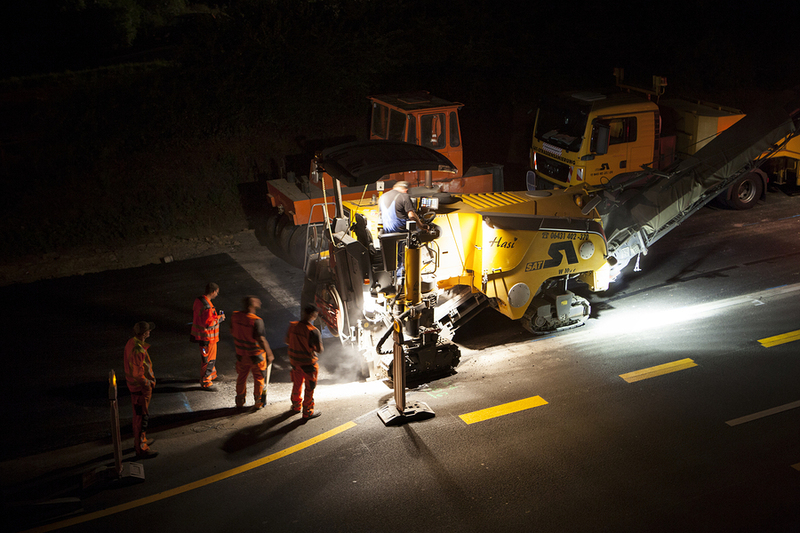 To improve safety for nighttime construction workers, several things can be done. Better lighting, for example, is important so that the drivers can see the workers on the road. Although most individuals, including those right here in Florida, don't like to think about death, it is a real possibility with car crashes. Research from the Insurance Institute of Highway Safety, Highway Loss Data Institute, states that drivers in the United States had 34,247 fatal motor vehicle crashes in 2017. They resulted in 37,133 deaths. With Florida's massive population of 20,984,400 at the time, it is no wonder that the Sunshine State accounted for 2,922 of the wrecks and 3,112 of the deaths. 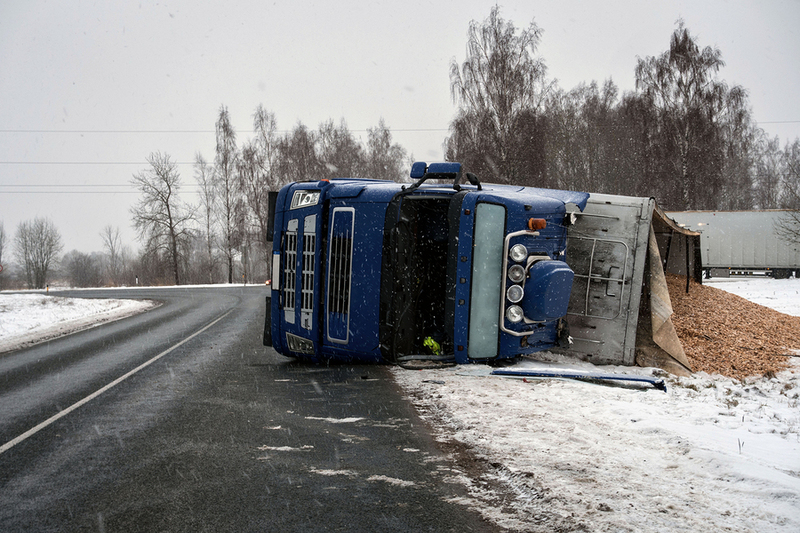 Could A Truck Accident Be In Your Future? 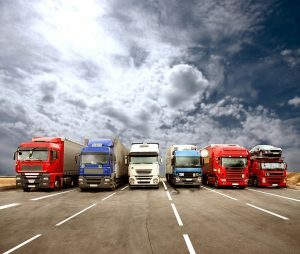 Logistics is a thriving industry that is alive and kicking today. Many citizens decide to go into the business as it provides them with job security, lucrative pay, and a chance to see the country. Speaking of the money, the Bureau of Labor Statistics says that the median annual wage for truck drivers was $42,480 in May of 2017. Of course, the amount varies from place to place and depends on the types of loads that individuals carry. Meanwhile, as for job security, there were 1,871,700 tractor-trailer driver jobs at the end of 2016. However, the BLS study reveals that the industry is expected to grow by 6-percent between 2016 and 2026. Therefore, it is estimated that another 108,400 openings will become available. In other words, there are going to be more and more of the big-rigs on the roadways in the coming years as America relies on them for just about everything. Rear end collisions are one of the most common accidents on the road in Florida. 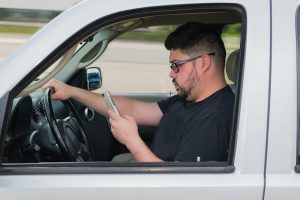 People will be talking or texting on their smartphone, looking out the window or at their passengers, or just simply not paying attention and hit the car in front of them. Rear end collisions are often some of the most dangerous on the roads. The sheer force of the collision almost always leads to injury. 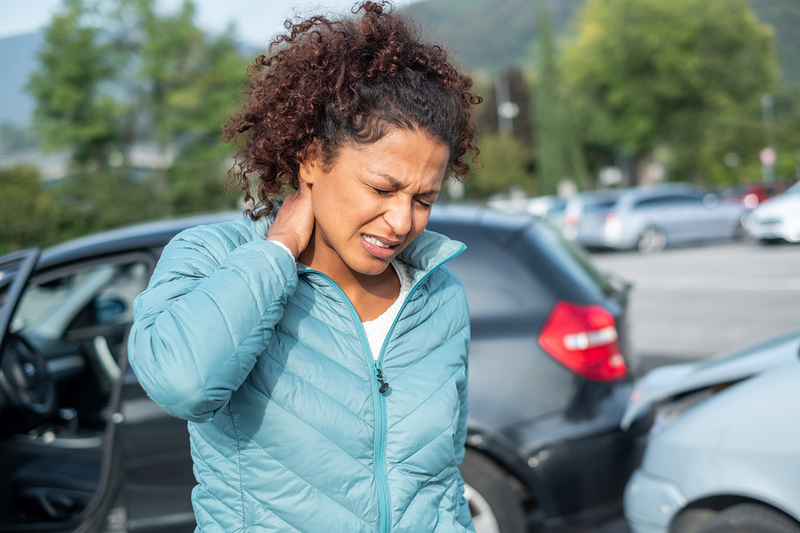 One of the most serious injuries sustained from a rear end collision is whiplash. 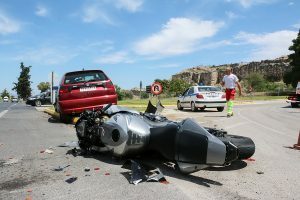 Is Whiplash A Real Injury? Despite what we see on sitcoms, whiplash is a very serious injury that can cause long term damage. Often, because of the reputation that is isn’t a real injury or simply an injury that has been exaggerated, the average person doesn’t understand the severity of the injury. Medical professionals, on the other hand, do recognize how serious this injury can be and the effects it can have on a person’s life. 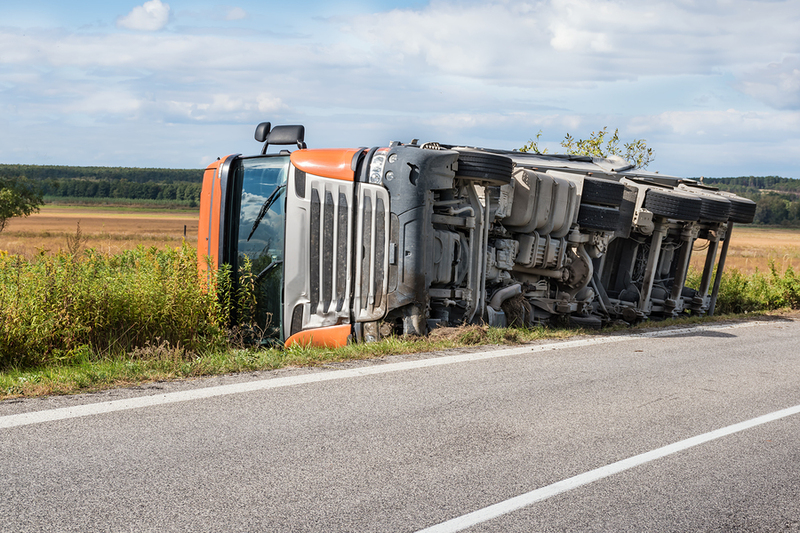 When a truck accident occurs, it’s the drivers and passengers of other involved vehicles who are more likely to suffer devastating injuries than those occupying the truck. 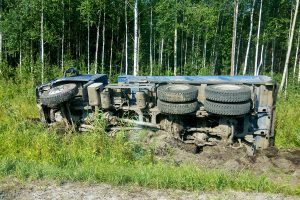 Large trucks travel with great size and force, and when an accident occurs with a regular-sized passenger vehicle, it’s the occupants of that vehicle who are likely most at risk. 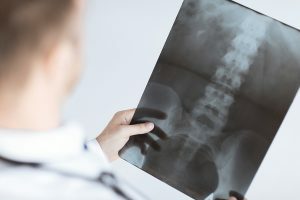 These injuries can be permanent, long-lasting, or even deadly, which makes receiving compensation incredibly important to the healing process. In the Port Charlotte region, no person wants to be involved in a car accident. Not only do car accidents cause injury, and sometimes severe, but they have an uncanny ability to inconvenience us for long periods of time. 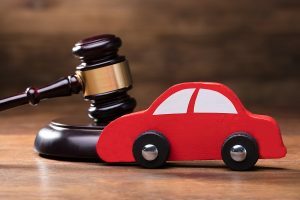 One thing that can really improve how you feel about the car accident process in Port Charlotte is getting to know the car accident laws observed in the region, and what these laws mean to your ability to be compensated. People like to enjoy themselves over the holiday season. Some people in southwest Florida might enjoy themselves a bit too much. When a night of festivities leads to an unfortunate accident, parties on both sides can suffer. Nearly 30 percent of all fatal car accidents in Florida are the result of someone driving while under the influence of alcohol. Though sometimes it is the drunk driver who suffers the fatality, there are many innocent people who suffer in this type of accident. Driving home from a late shift at work, a family gathering, or a night out with friends can result in the loss of life when other people are careless. Everybody knows that trucking companies are a vital part of the United States economy. They get goods from point A to point B so that they are readily available to everyone. Still, that doesn't change the fact that getting next to an eighteen wheeler on the freeway or a side street is downright scary. These trucks are massive in size when compared to other vehicles on the roads. Plus, the trailers carry heavy loads, which means they can't just stop on a dime. The streets are filled with cars, cars, and more cars today. 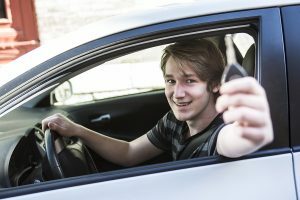 Seasoned driving pros, as well as new teenage drivers, are hitting the open road daily. Things are no different here in Florida. 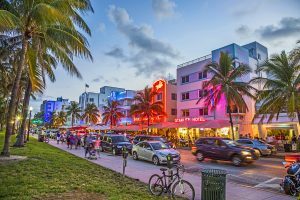 In fact, research from DMV Florida shows that there are currently around 14-million license holders in the Sunshine State. Plus, approximately 800,000 new licenses are issued annually. Not to mention, brand-new Florida residents with out-of-state permits exceed 400,000 yearly. Florida is always going to have the sun and weather all year round that makes it a great place to drive or take a motorcycle out on the road. But if the recent statistics from state law enforcement are anything to go by, there’s a disturbing new trend that’s on the rise on our roads and highways. Less enforcement of traffic law is leading to a rise in the number of car accidents that are occurring. One of the most interesting statistics to come out of state law enforcement is the apparent correlation between how active police officers are in enforcing traffic laws, and the number of accidents that occur on the road. State law enforcement shared their data from the years 2012-2017. Over the years, fewer traffic tickets for speeding, distracted driving and other moving violations have been issued as the years have passed. 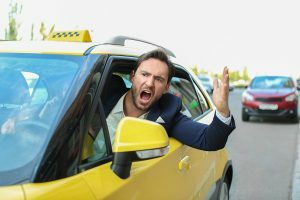 What Happens If I’m Injured When Riding In An Uber Or Lyft? Ridingsharing apps like Uber and Lyft have become extremely popular, especially in Florida with our high volume of tourists. They are incredibly easy-to-use, cost effective, and for the most part, completely safe. However, no matter what vehicle you are traveling in, accidents can happen. 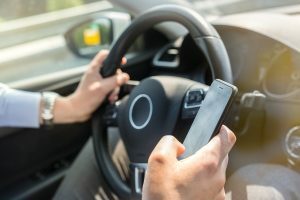 If you are in an accident in a Lyft or Uber and are injured, what happens? 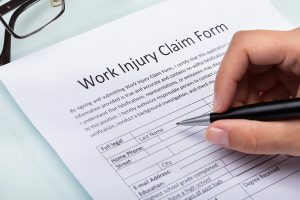 Who is liable for your injuries? 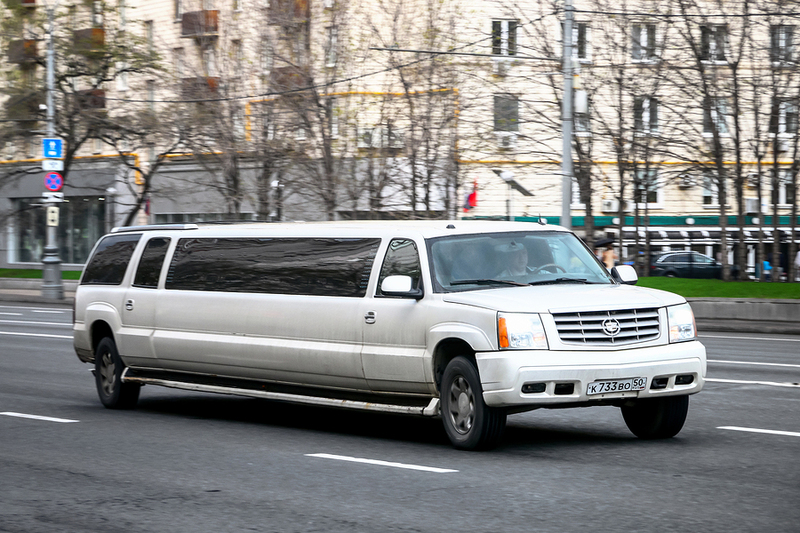 Most transportation carriers including bus companies, taxis, and limousines are defined as “common carriers”. With this definition they have a higher legal obligation to protect the safety of their passengers. If you are injured while in the care of a common carrier, they are solely responsible for your injuries. When Lyft and Uber were first starter, because they by all definitions would fall under common carriers, states assumed these rules would apply. 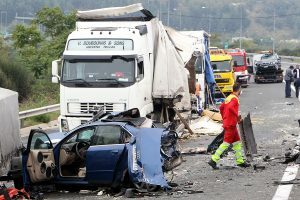 However, the companies argued they are not common carriers and that the liability for accidents should fall on the individual drivers. Summertime is nearly upon us, and soon, Florida will be hustling and bustling with activity. Tourists from all over the world come to the state for the beautiful beaches, fun amusement parks, and pristine weather conditions. Various organizations will receive revenue boosts from the visitor increase, and the economy will thrive. However, with more people being present, there will also be a substantial amount of traffic on the roads. Therefore, the risk of an automotive accident occurring raises significantly. 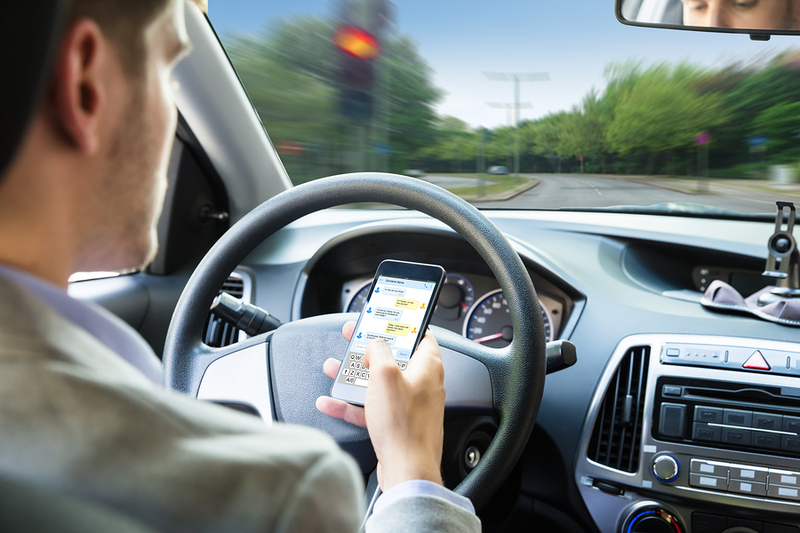 People have been partaking in activities that distract them from their driving for years. It used to be not all that uncommon to see a driver reading a newspaper or magazine during traffic hour. Gadgets, smartphones, and tablets have made many of these types of distractions obsolete, but they also opened up an entirely different can of worms. Glancing away from the road to text, even if only for a brief moment, can change your life drastically in an instant. 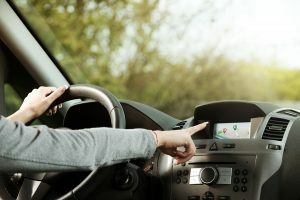 There are GPS and other apps that assist with driving, but the vehicle should always be parked in a safe location before attempting to input coordinates. 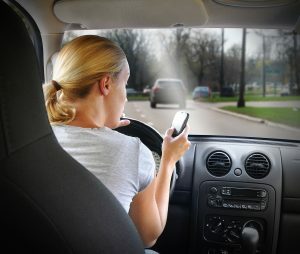 A person's attention should stay steadily focused on the road, as well as, their vehicle's surroundings, and with any luck, accidents will be avoidable. Who Owns The Road (And Pays To Keep It Paved)? Highways and streets don’t pave themselves. Someone has to own the strip of land the road is on, pay for the gravel and asphalt to cover it, pay for the heavy machines and workers to pave it, and pay for the paint for the lines. Someone also has to pay for damages caused to vehicles and people caused by deep potholes if they’re left unfixed. Although major highways like interstates and U.S. routes use federal funds for construction and upkeep, their owners are technically the states they’re in. So the state of Florida owns I-95 from the border on St. Mary’s River down to Miami, but Georgia owns the freeway until it crosses the Savannah River into South Carolina. 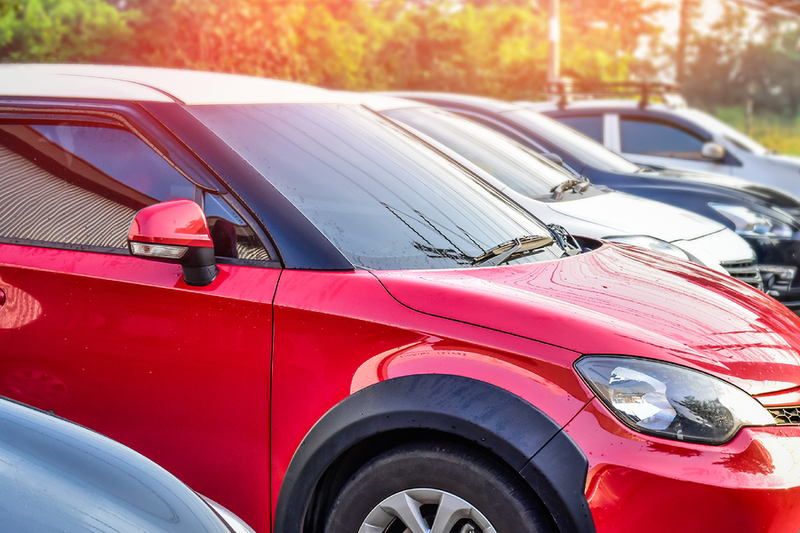 Between the state and federal transportation funds, you can usually count on the highways being in good enough shape that you don’t have to worry about vehicle damage. 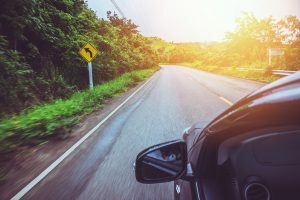 The past few legislative sessions, Florida’s House and Senate have attempted to repeal the state’s requirement for drivers to carry personal injury protection insurance. This year’s legislative session has proved no different. However, much like years past, the effort to do so has seemingly hit a roadblock. Florida’s personal injury protection mandate was originally passed into law in 1972. The law requires drivers to carry $10,000 in personal injury insurance. Personal injury insurance is considered to be a no-fault policy, which means the policyholder reaps the benefits no matter who was at fault in an accident. A $10,000 policy covers 80% of medical expenses and 60% loss of income. Additional variations of the policy can also be purchased through insurance providers. Florida is one of ten states to require personal injury insurance. Unfortunately, there has been a rise in scams and fraudulent schemes that take advantage of the PIP mandate. Fraud is the main reason why Florida’s legislature has continually pushed forward with repeal. For decades traffic accident have been just another part of life that some of us have to face as drivers. It wasn’t always that way, of course. The very first traffic accident fatality took place in 1896, and at that time, the coroner overseeing the accident wrote, “This must never happen again,” naively believing this would be an isolated incident. Unfortunately, millions of deaths later, that coroner has been proven spectacularly wrong. Perhaps even more worrying, despite all the advances in road construction, car construction, car safety, and driver education, car accidents within the United State are still on the rise. In fact, by the conclusion of 2016, that year had proven to have a higher traffic accident rate nationwide than in the previous nine years. So how, with all of these improvements in knowledge, experience, technology and manufacturing can traffic accidents still be on the increase? The answer is human error, and, at least in Florida, there’s not much that even the police can do about it. 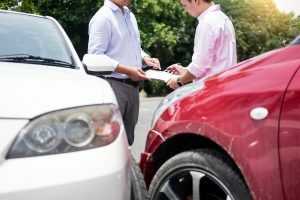 Who Is At Fault For Your Auto Accident? Florida roads are busy. With the third largest population in the country and millions of visitors annually, there's always someone on the road here. And with so many people traveling, accidents are bound to happen. When they do, you hopefully won't be seriously injured. But if something occurs and you do find that you're seriously injured, it's important to take the steps needed to make a total recovery. Your physical and mental health is obviously the main things to focus on, but what about your finances? An auto accident can lead to serious financial burden, making it difficult to fully recover. High medical costs, lost wages due to dime away from work, and more can all play a role in your life after an accident. And in these situations, seeking financial compensation is something that you'll need to consider doing. One of the things that make the USA such a unique and blessed country is that it is written right into our Constitution that every citizen has the right to bear arms. 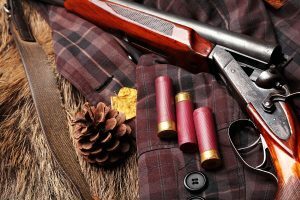 This means that whether an American wants to go hunting, or simply wants the security of knowing that a family has maximum protection in the home, a firearm is available to be used. In Florida, residents are even allowed to carry their guns on their person, concealed, provided that they have sought legal permission do to so. However, with any great power comes great responsibility. When an American chooses to purchase and keep or carry a firearm, this means that the weapon must be respected, and all laws regarding the use must be obeyed. 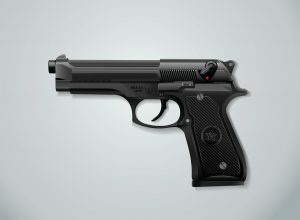 There are many reasons for this, and while the misuse or careless use of a gun is against the law, perhaps more important is that the improper use of a gun can lead to injury or even death. And if that happens, the law holds the owner of the gun legally responsible for the consequences that come after. 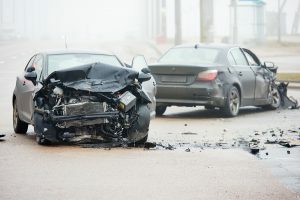 If you ever find yourself in a serious automobile accident where there are major injuries and the responsibility for the mishap is on the other driver, you will want justice. 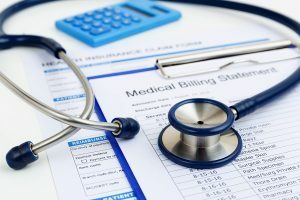 Why should you or your medical insurance company have to pay for the medical treatment of yourself or your friends and/or loved ones in the vehicle if someone else was to blame? 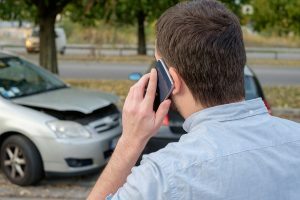 That’s not fair, and if it’s not fair, you should make sure you get the proper legal outcome, with a car crash lawyer that is specialized in helping people resolve their auto accident cases. 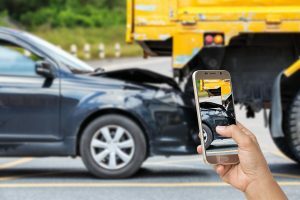 We have experienced car crash lawyers that can help our clients when they get involved in accidents, but we’d like to point that while all car accidents will usually involve an impact with something at some point in the accident, that’s where similarities end with other accidents. 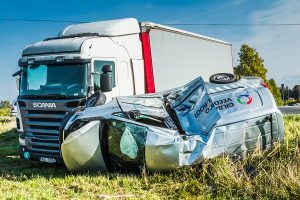 There’s a huge difference between car accidents and truck accidents and that is why when you talk to a car crash lawyer at our firm, you’ll be able to deal with someone that specializes in trucking accidents. Here’s why. A typical automobile will weigh about 3000 lbs. Depending on the type of cargo a large truck is hauling, it may weigh up to 80,000. In a collision between these two vehicles moving at the same speed, the sheer mass, and energy of a truck in motion is going to win in a confrontation between these two vehicles every single time. Technology is such a huge part of our everyday lives that it's hard to remember a time when it wasn't. 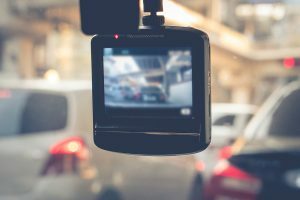 From the smartphone in everyone's pockets to dashboard integrated GPS systems to streaming video and conference calls, technology is everywhere. And while it impacts the way we work, play, entertain ourselves, and communicate, technology also has a huge role in how we travel. Not only can it improve our overall safety while on the roads, but it could help show what happened leading up to an accident or prevent one from occurring. 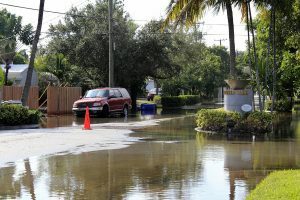 However, it can also cause an accident or make it harder for those involved in one to get the help they need following an incident on Florida's roads. 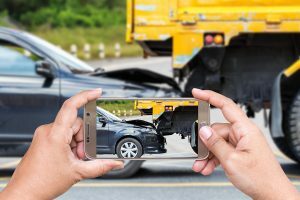 It's important to take a closer look at some of the different ways that technology can play a role in auto accidents and auto accident personal injury cases. Some of these ways may be obvious, but some could surprise you. An accident can go from bad to terrible in seconds if you are hit and then the vehicle at fault flees the scene. That is the definition of a hit and run. This can leave the victim puzzled, worried and alone. 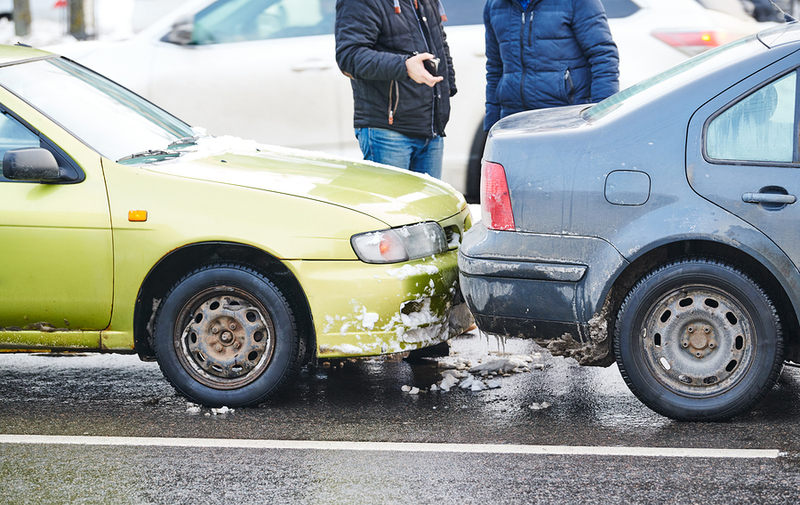 If you are the victimized party in the situation it is important to get as much information as possible about the vehicle that caused the collision. License plate, make and model and color of the vehicle will help when circumstances lead to police involvement. 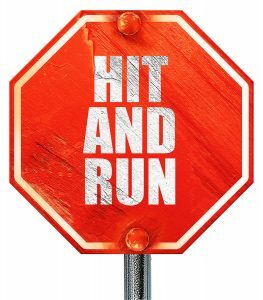 It is an unfortunate possibility but it has happened that someone gets away with a hit and run due to lack of information. 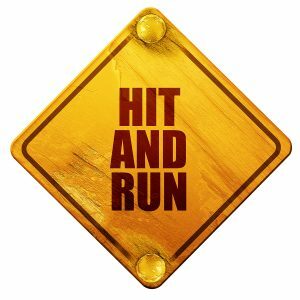 There are some intricacies of hit and run scenarios and laws that you should keep in mind before and after an accident. Unfortunately, this is not a joke or some way to poke fun at the generational stereotypes. 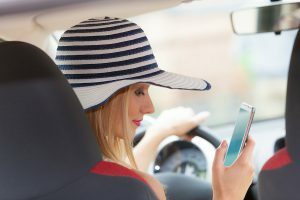 While looking into traffic safety in the state of Florida, Southwest Florida in particular, there is statistical evidence that the generation with the most dangerous track record is the millennial generation. Maybe the reasons are similar to what you have heard about the group, regardless there are little things that can be done to help keep our roads safer, no matter the driver. What Is A Millennial And Why Are They Florida's Most Dangerous? 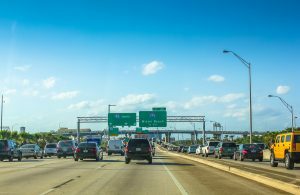 Just earlier this year the Florida Highway Patrol launched a campaign called Arrive Alive, a program to help reduce highway fatalities in the state. Stemming from data regarding the increasing number of motor way fatalities in the state, the initiative combines the powers and influences of state law enforcement, multiple highway safety departments and engineering groups, together they have created the initiative for keeping Florida drivers safe and therefore our jobs as injury lawyers a little less easier. The collaboration of the various entities involved in the program make its ability to benefit the people ten-fold for many reasons. Car technology has come a long way. GPS systems make it easier than ever to find our destination quickly. Bluetooth allows you to talk to family and friends without ever having to take your hands off the wheel. Backseat DVD players keep children entertained and quiet through long car rides. Not only has technology made the drive easier, but it has also made it incredibly safe too. Seat belts and air bags have saved millions of lives. Air bags save lives, but they can be dangerous too. 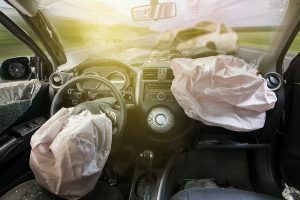 When regarding the deployment of your air bag during a crash, there are two things to keep in mind: (1) the air bag is only a supplemental safety device; and (2) you need to take safety precautions in order to minimize the risk of your air bag actually causing injury when deployed. We all know the dangers of driving while under the influence of alcohol. When we all attended drivers ed, we had to watch extremely heartbreaking and depressing videos highlighting all of the alarming statistics related to automobile deaths and its relation to alcohol. 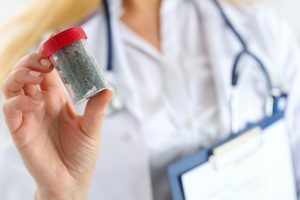 However, some people fail to realize that other substances have also attributed to many automobile deaths around the state of Florida and the rest of United States. 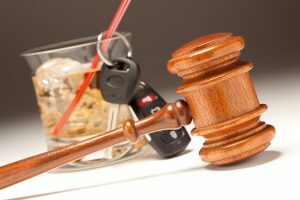 The month of December is National Drunk and Drugged Driving Awareness Month. 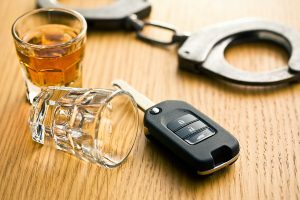 Because of this, we believe that it is our duty as personal injury and car crash lawyers to inform you about some of the alarming statistics associated with driving while under the influence of drugs. Getting into a car accident is extremely stressful. Between the property damage, the injuries, and battling the insurance companies, it can be a really nightmare to get your life back on track. This is only further complicated when you find out that the other driver does not have insurance. 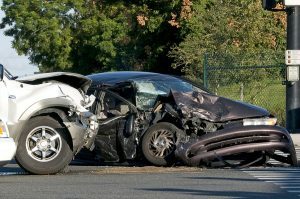 If you’ve been hit by an uninsured driver it can be a huge challenge to receive fair compensation for your damages, which can be especially overwhelming if you are suffering from an injury. So what happens if you’ve been hit by an uninsured driver? What are your options to pursue compensation? Between the suddenness, the loud noises, and the injuries, an accident can be a truly scary experience. You may want to panic, but it is very important you stay calm. In cases where people have been seriously injured, you may be the only person who can help. So if you see an accident, take deep breaths and just stay focused on what you need to do to help. New crash avoidance technologies have allowed manufacturers to make cars safer than ever. Crash avoidance technologies have already saved countless lives and reduced injury in even the worst auto accidents. So we’ve put together a comprehensive list of the best crash avoidance technologies to look for in a vehicle. That way, if you are ever in an accident, you are protected. 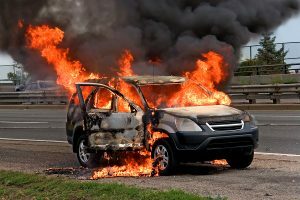 So if you are thinking about buying a new or used car, consider getting one with these modern safety features. Forward collision avoidance systems predict when a head-on collision is imminent. Using either a radar system or a combination of lasers and cameras, forward collision avoidance recognizes when a driver is about to have a head on impact and will either warn the driver or automatically brake and steer the wheel to avoid the crash. 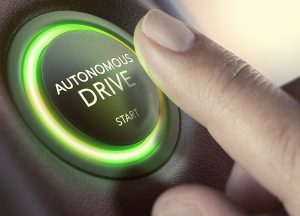 Since its introduction to the market, vehicles equipped with forward collision avoidance have seen a 10-14% reduction in accidents depending on model. With the summer season finally here, many Florida residents are excited to hop on their boat and enjoy themselves. However, even an experienced boater can make mistakes. That is why it is always good and important to keep up with the latest safety rules and tips so you can better enjoy your boating experience this summer. You should always check the local weather before heading out on the boat. If you notice any darkening cloud, volatile and rough changing winds or a sudden drop in temperature, you should play it safe and get out of the water. You need to be prepared for anything that might happen on the water. Having a pre-departure checklist is a great way to be sure that nothing important has been overlooked or forgotten. The worst has happened and you’ve been in a car wreck. Luckily, you have the best tool available to help protect you, your passengers, and your assets right in your pocket. Your smartphone is a great tool to use after an accident to document and report the accident. Here is how to use your smartphone when you’ve been in an accident. 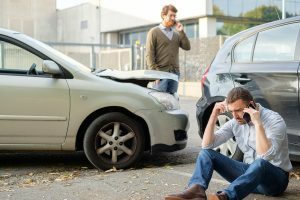 When you’re involved in an automobile accident, one of the primary things that authorities will try to establish early on will be fault. Figuring out who is to blame has a major impact on what insurance company is handling the damages as well as on other aspects of the next weeks and months. 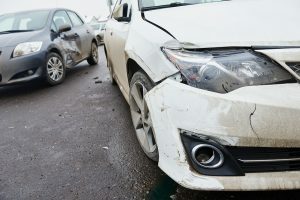 But for those who are injured in accidents caused by the reckless actions of others, seeking financial compensation may be something that needs to be done. 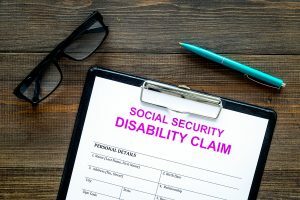 When determining whether or not you can seek financial compensation for your injuries, the first step an attorney will take is to figure out who is at fault. Under Florida law, fault in a personal injury case refers to determining whether or not one party acted in a negligent or reckless manner. Despite all the increased amounts of research concerning Post-traumatic Stress Disorder, there is still an abundance of myths floating around and it is crucial that they be addressed. Post-traumatic Stress Disorder also known as PTSD, is a serious mental health issue that is often accompanied by a great deal of stigma. 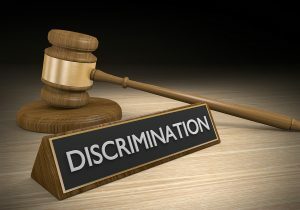 Along with that stigma is a large amount of myths and misunderstandings about the disorder which can lead to negative implications such as prejudice and maltreatment. Here are just a few of the myths we will be clearing up today. This is unfortunately a very common myth. Developing PTSD is not a sign of weakness in the slightest. It is an understandable human response to uncommon experiences. You do not need to be Irish to celebrate St. Patrick’s Day! Each year, the green beer and drinks are being shared all around. In fact, you can see green items and alcohol as far as the eye can see during this time of the year. However, this makes it an increasingly dangerous time to be on the road and driving. According to the National Highway Traffic Safety Administration, 276 people died in drunken driving crashes over St. Patrick’s Day weekend from 2009 to 2013. 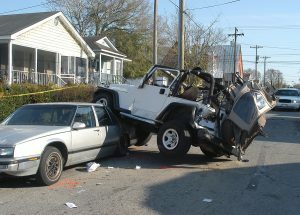 In the year 2013, two out of five crash fatalities occurred during St. Patrick’s Day weekend involved drunken driving. It was between midnight and 6 a.m. during St. Patrick’s Day weekend that resulted in the most crash fatalities. 55 percent of those nightly crashes involved drunken driving. 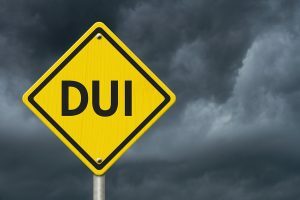 Furthermore, from 2009 to 2013, three out of four drunken driving fatalities has occurred with drivers who had a blood-alcohol levels at more than double the legal limit. Driving can be hazardous even on a beautiful crystal clear day with perfect road conditions. However, when you add wet weather into the mix, it can be downright dangerous. 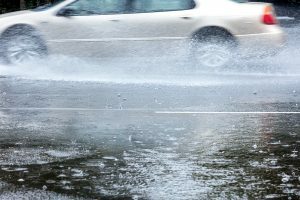 Luckily, there are a few ways that you can protect yourself and others while on the road in wet weather. What’s The Difference Between Ride Sharing And Taxis? The answer to that particular question can depend a lot on whom you ask. 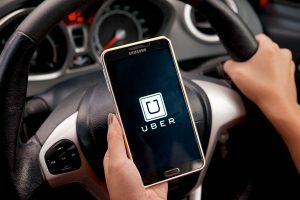 According to ride-sharing companies like Uber and Lyft, ride sharing is a service that takes advantage of modern technology to provide a more casual approach to getting a ride. Drivers are simply guys (or gals) with their own cars who work their own hours and can take as many or as few passengers as they want. That said, these companies are also quick to point out that their drivers adhere to strict standards of professionalism while on the job and both drivers and passengers are able to rate and review each other for future reference. With the holidays around, many are traveling to see their friends and family over the holiday seasons. For some of us, that is just a simple half an hour trip. However, for others this may be quite a few hours or even a day’s trip to see them. If you’re planning to take a long road trip, you need to plan in advance. We’re not just talking about packing, long drives can really take it out of you and it may be dangerous if you are not prepared for it. That’s why we came up with a few tips to keep you safe on the road. 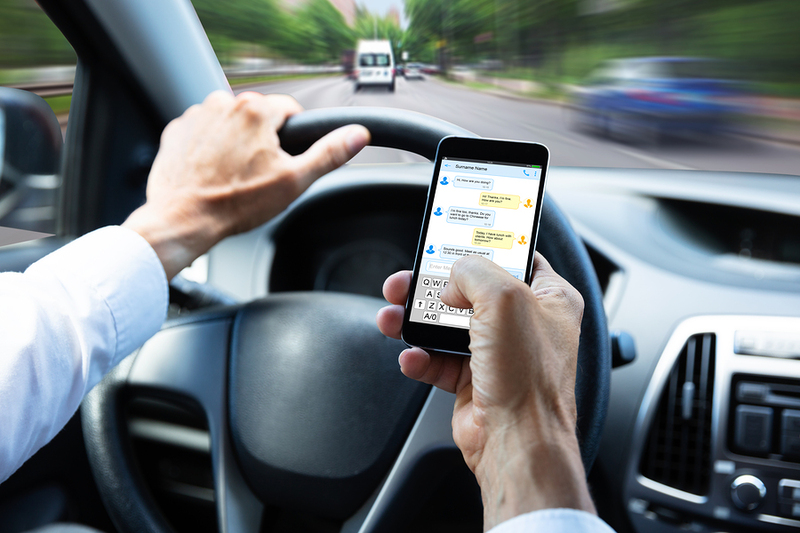 Driving distracted endangers not only those behind the wheel, but also their passengers, pedestrians, and fellow road occupants. 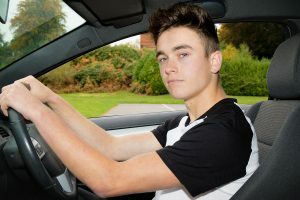 In fact, drivers using hand-held devices such as smartphones or iPods were four times more likely to get into a serious than those who didn’t. That is only one of the most dangerous distractions around. In a survey, 51% of drivers admitted that their driving had been compromised at least once due to eating or drinking while behind the wheel. When we’re in a rush, it seems only natural to eat on the go especially with the ease of drive thru restaurants. 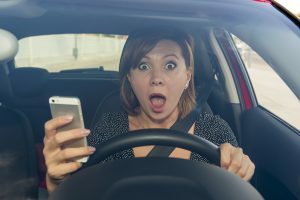 As much as you might believe that you can drive and much on something at the same time, it is more distracting than you think and not worth the risk.